Open-architecture offices are no longer the collaboration and productivity stars of NYC workplaces. In fact, according to a Harvard study, open-space offices decrease collaboration. Yes, employees love big, open windows to look out at the city and they love the light, but when it comes to communicating with each other and getting work done, they want privacy along with their comfortable and aesthetically pleasing space. Today, glass-interior business design is all the rage in New York for those companies in the know on design-function productivity and with it comes decorative film to provide privacy to keep employees happy and productive while maintaining that professional look and feel in a cost-effective way. But before you jump in with decorative film, be sure to educate yourself on city codes and vendor options. 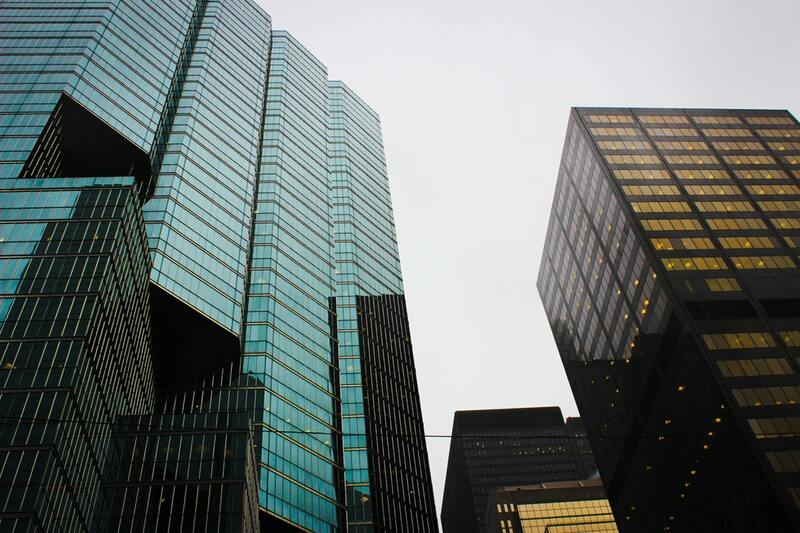 New York has specific technical specs for glass interiors and there are multiple cost-effective and high-tech options to choose from for commercial building window tinting that is up to code. 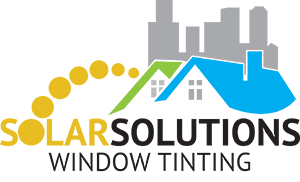 To help get you in the know, we’ve put together facts about the code for commercial window tinting in New York, as well as tips on commercial tinting solutions. Keep reading to find out what you need to know. New York City code requires all transparent glass doors and fixed adjacent glass sidelights to be marked. The reason? So people don’t walk right into them! The glass surface must be marked in two areas: a lower-area marking and an upper-area marking. The lower-area marking should be at least 30 and no more than 36 inches above the surface below the glass. The upper-area marking should be at least 60 and no more than 66 inches above the surface below the glass. Located at least 40 and no more 50 inches above the bottom of the door or sidelight. Elliptical or polygonal shapes must be four inches or more at the smallest dimension or 12 inches horizontally if less than four inches in the smallest dimension. For all markings, including letters, the vertical height must be at least one-half inch. Marking glass doors and walls in office space is all about safety. You want to alert employees and clients that there is transparent glass in their path so they don’t walk into it. But luckily, safety can still be pleasing to the eye and exude company culture. NYC code includes opaque marking materials like decorative film in its list of acceptable distraction markers for commercial building window tinting. Since New York City code approves of decorative film to keep people safe, when done properly, you can take advantage of this flexible solution throughout the office and leverage the technique for function, building brand, expressing company culture through style, and cost savings. Here are a few spaces to consider. See if you can visualize it. Since private spaces outperform open spaces for employees in several areas, decorative film offers an easy solution. Also, decorative film is easy to swap out, so when you want to shake things up (in a good way) and make it fun for employees, you can change up the look easily. No big remodel needed! Just consult with your vendor to peel, create and go. Seen by both employees and clients, using decorative film on your conference area glass gives you the option to incorporate a design that embodies company culture and professionalism. Once again, it’s also easy to change out if you need to make some tweaks to your style and brand. Or maybe your office just feels like it needs a new outfit! This is the face of every New York City office, and decorative film lets the company put its best foot and company brand forward, immediately. Chances are if the building is in New York City, it also has glass windows. Using decorative film around the perimeter has the added bonus of UV protection and keeps the temperature low when the sweltering heat of summer kicks in. This, of course, reduces energy costs and extends the life of air conditioning. Decorative film is more than just decorative. It serves many purposes that make a company look, feel and function marvelously on the inside and out. For example, did you know that the right commercial tinting on a glass window can make it so that someone standing on the outside of the conference room or glass-walled office can’t see the screens on the inside? For your eyes only, stays for your eyes only. What you work on in the conference room, stays in the conference room. Here’s a decorative film 101 cheat sheet of ways you can use decorative film. How many of these benefits can you take advantage of? Decorative film is an easy, cost-effective way to get those two markers on each glass door and sidelight as needed so no one bumps into the glass. You can get creative or use standard designs. Brainstorm with the marketing and design teams. Basic lines and circles are always an option, as are logos. Just make sure your designer reviews the NYC specs for proper code. Frosted film is one type of decorative film that provides a beautiful way to cover a glass wall or door because it looks just like frosted glass and still offers the privacy needed for productivity. If you go with frosted glass to cover a large area, you can choose from different patterns and colors to suit your brand and style as well as different shade levels to determine the amount of light you’d like to filter in. Also, there’s a highly efficient decorative film tech called cloaking film technology that can be used for your frosted film. It’s with cloaking film tech that you can obscure those digital screens! This is the fun part where design eclipses function, as in hides it so the office looks good, feels comfortable and delivers too, just like an expensive pair of designer dress shoes. Decorative film for commercial glass tinting is available as customized graphical film. Use branding graphics or icons. Choose colors that promote office productivity, like blues and greens. Make it look like a stained-glass window! Since commercial tinting is easily and cost-effectively replaced, the company can be flexible, keeping the office looking stellar and making it fun for employees. Imagine, a very important meeting is in progress in a conference room. Slides are being shown on a laptop or tablet about a new product yet to be unveiled. No one can look in and see! The amazing secret product remains a secret. Why? Because of cloaking technology. Now imagine a team of highly productive employees working late. They’re tired. They take a quick break to check social media or nap. No harm, no foul. But just in case the boss walks by (shh! ), no one can see that screen thanks to cloaking technology. And then there’s other technology of commercial business window tinting that keeps temperatures cool inside, lowering them up to 15 degrees and providing energy cost savings since the office won’t need that air conditioning as much. Also, in addition to keeping people from walking into walls, film technology protects against harmful UV rays and can keep the glass from shattering. One of the key benefits of decorative film is the flexibility and cost-effectiveness it offers when it comes to design while creating the best workspace possible. Not only can companies swap out designs more easily but they can also take advantage of design technology to visualize plans before they dive into a specific look. Once they see what the decorative film or a specific color or image looks like, the plan can be adjusted. Our favorite tool that does just that is the Visualizer. Take a look and give it a whirl. Commercial business interior designers can show clients what the office will look like and help them save money and time by providing exactly the right design. Company marketing and HR departments, top execs and owners and all stakeholders can take a look and sign-off or adjust as needed. Commercial contractors can see exactly what to build. Everyone is on the same page thanks to the Visualizer tool! You’ve done your basic research and you’re ready to go. Follow the New York code for transparent glass doors and sidelights. Be sure to use vendors that know the code inside out. Create a design that makes the office stylish, conveys brand and company culture and promotes productivity. Take advantage of design tools like Visualizer to get everyone on the same page to save time and money. Go with a decorative film vendor that uses high-quality film that employs the latest technologies. Please feel free to contact us for any questions or to try on decorative film for your office.